In the past, there were a lot of shoddily constructed buildings erected that used poor materials. A lot of the times these materials were sub optimal for the type of structure they were being used on or the region in which it was situated. This would lead to a host of problems down the line, such as dampness, loss of heat, structural stresses and even collapse in extreme cases. The ability to retrofit certain facade systems has been seen as somewhat of a game changer, as they can be a measure taken which will extend the longevity of a structure before major work has to be completed on it. Danpal has a number of top quality facade systems that are flexible enough that they can be used in this way. Energy performance is a massive thing these days, both in terms of helping the environment and having people being able to save on their energy costs. If you have one of these poorly built homes or buildings, the heat will be sucked out of the walls and you will have to use tons of expensive heating to get the building somewhat warm. By having a proper facade system in place, you can benefit from their natural thermal effect, which will create a layer of protection around the structure. This means that cold air will not be able to permeate internally, while internal heating or air conditioning will be able to be retained in an optimal manner inside of the structure. You are getting the best of both worlds. These retrofit systems will work better in cooler climates than warmer ones, as there are more benefits to be reaped. If you are concerned with the state of one of your structures, this could very well be the most cost effective and efficient route for you. There are two main types of facade systems that are commonly used today. The more conventional facade systems will be brick cavity walls, rainscreen facade, rainscreen facade that has terracotta cladding, conventional curtain walls and glass fiber reinforced rainscreen facades to name a few. The other main type is thermally improved and optimised, such as those seen with Danpal. These will be rainscreen facades that have thermal spaces built into them, those that have thermal isolators and curtain walls that have framing which is thermally broken. The more advanced building facades will have to consider significant deflections and concentrated forces. By knowing and being aware of these structural behaviours, you can better aid the design of the structure as a whole. 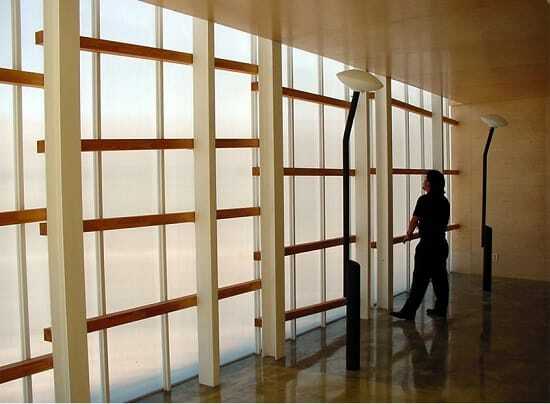 This also allows you to choose a facade system that is optimal for the case at hand. By intertwining all of the different variables and factors, you will be able to have an end product that will be aesthetically pleasing while yield results that are efficient and coordinated with one another.